‘New year, New me’ slogan comes with quite an ambitious tone. Yet, it is one of the best mindsets to have. One of the key goals that many of us have is to become a healthier version of ourselves. It can be quite challenging to do things right, but thankfully, we live in an era when doing great things has become a tad bit easier. With the influx of health apps and increasing amount of workout tutorials, the options seem to be mind-boggling. However, one app stood out from the others due to its comprehensiveness and absolute efficiency. 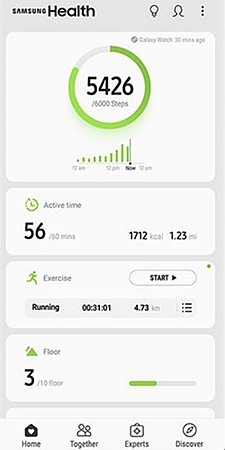 Samsung Health app is one of the most comprehensive health apps that you’ll find out there. It not only measures how many steps you walk or provides you with reminders to drink water, it goes beyond all that and can even offer you an expert health opinion. How to get started though? Now that we know the basics, let’s dig deeper. Can I connect the app with other devices? Well, firstly you need to own a Samsung Device which comes with the pre-installed Samsung Health App, and if you can’t find it, then search for it in your play store. 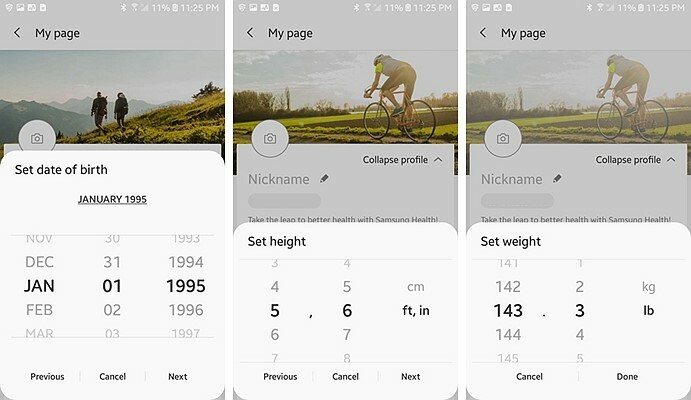 Step 1: Just as you open the app, since this is going to be your personalized guide, it will ask for some basic information such as your age, weight, height and gender. This will provide a baseline to build upon. – Since you are the only one aware of your activity level, choose the honest option. If you are sedentary or somewhat active, let the app know so that it can provide you with suggestions according to your activity level. 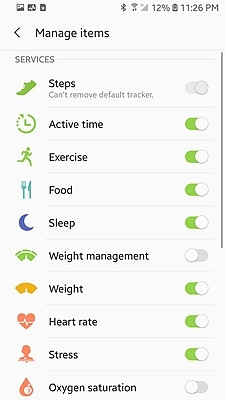 – Samsung Health categorizes various aspects of your health- sleep, nutrition, exercise, stress, water consumption, weight management etc. You can further enter your blood pressure levels, blood glucose levels too. – This can be done either manually or using third-party devices meant to track them. 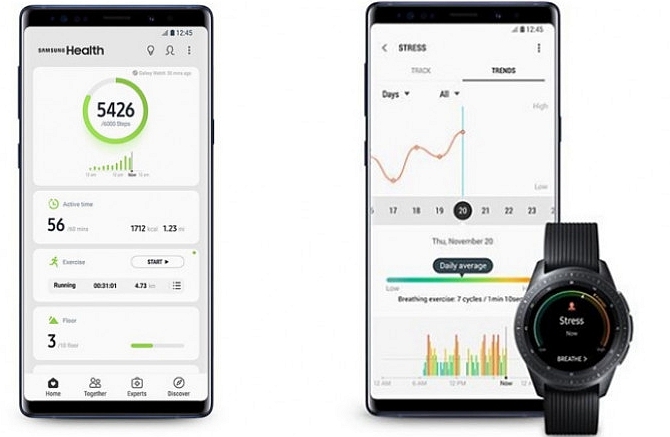 Sleep cycles and duration are especially tracked by devices like Galaxy Watch and Fit2Pro. Step 2: The ‘Home’ tab on the app provides you with all the information you need to know about your activity level, water intake, and other categories that you can set up. To manage the items on the ‘Home’ tab, go to the top right of your page where you’ll find the three vertical dots. Click it, and select ‘manage items’. In that way, you’ll be able to manage your weight, caffeine intake, workouts, and other activities. Step 3: The Together tab presents the leaderboard. To put it simply, the figure shows others’ health performances in general (if you had turned on the together tab at the beginning, if you haven’t, you can go back and do it). In general it provides you with a leaderboard showing how others are doing, whether it’s those belonging to your age group, or the connected friends. By making the most use of it, you can sign up for or create really cool challenges happening globally, or even within your friends’ circle. The discover tab on your app feeds you with some of the latest information in regards to health and wellness. Hundreds of articles are published, and it serves quite as a reliable library reserved for health. Getting back to ‘Managing items’ on the ‘Hme’ tab, once you have selected the items that you want to put on the ‘Me’ tab, then you can set the order of your activities. If you find yourself doing a certain type of activity more, then put that somewhere at the top. Whereas if you find yourself doing an activity rarely, say running, then just put it at the bottom. As and when you’re about to begin these activities, tap the activity and set the target duration and burned calorie. In that way, you can keep going until you’re done. 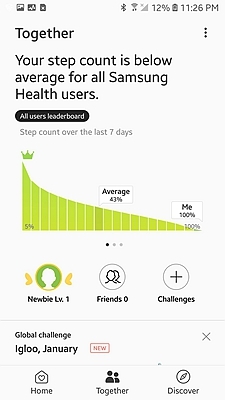 This is the most unique and widely acclaimed feature of the Samsung Health app. If you want to get started on this, all you need to do is enroll yourself and put in your health insurance information. The experts who’d be responding to you are a huge number of doctors based in the US who are specifically trained to provide telehealth care. This is a partnership between Samsung and Amwell to create an accessible environment for all. This option provides you with an avalanche of information. · For beginners, as soon as you enter your health insurance information, it provides suggestions in regards to the clinics and doctors you can visit, and their consultation rates. Apart from that, it also refills your prescriptions at your local pharmacies (only if you want it to). 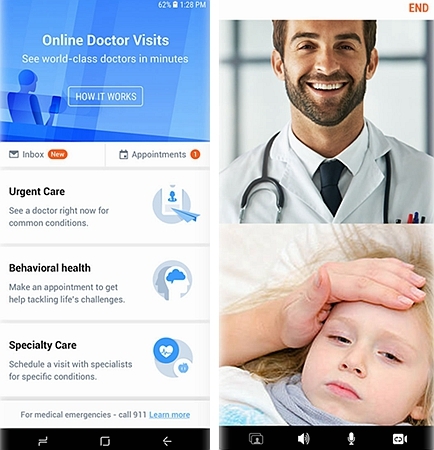 · As this service is open for all 24/7, all you need to do is open the app, choose a clinic or doctor and give them a call, and you’ll be taken care of. Regardless of your health problem, all of them are covered by the professionals in the field. · Under the experts tab, you can check the cause of your symptoms by answering a few questions via AI chat. This provides you with a report, but further analysis is always advised in this case. ‘Discover’ tab, and click ‘Products’. There you’ll find “Accessories” as you scroll below, click it and you’ll see a lot of products to choose from. 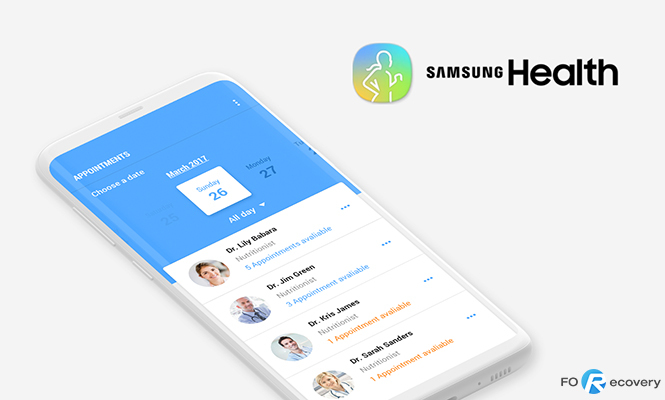 Samsung Health App is promising, exciting and a great tool for all. When used right, it is close to perfection.